Just a little glimpse of what Napa Valley is going through this time of year. Sad part is they're about three weeks behind because of the extremely cool 2010 vintage. Let's just hope that the rains don't come on time either, or the vintage could become a very tricky one. 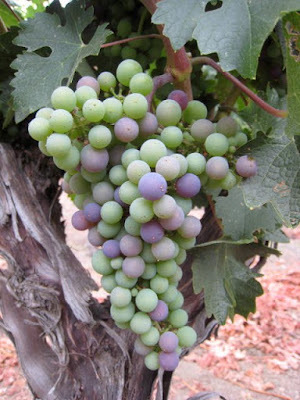 Most vintners expressed their concerns about the cool whether, but are confident that if they can wait a few weeks longer to harvest that everything will turn out alright. Still it would be smart to keep a close eye on the development of this situation before buying too heavily into your favorite Napa wines in this vintage. Wow!!! This article is amazing mate, looking forward to read more here. I invite you to have a look in our site I hope you enjoy it too. Damn, weathers been wacky. Makes for a challenge.